Author: Jakober, Marie Set In . . . 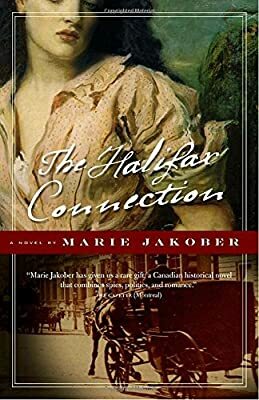 Description: A Canadian counter-intelligence novel with a memorable romance at its heart, The Halifax Connection brings to life 1860s Montreal and Halifax with wit, action and a finale that will leave you breathless. Canada in 1862 is still a few scattered colonies run by an indifferent British crown. As the American Civil War heats up south of the border, Southern Confederates flood into Montreal and Halifax, among them numerous spies and military officers planning secret missions against the Union – missions they hope will provoke a war between England and the United States, throwing the whole weight of the British Empire into the Confederate camp. Erryn Shaw is a charming British aristocrat who has been banished to the colonies and now wants nothing more than to run a theatre. Instead, he is convinced to spy for the British and finds himself befriending Southern Rebels to learn of their plans. On a mission to Montreal, he gets wind of a sinister plot–a plan the Confederates believe will win them the war. And he can’t seem to find a way to stop it. At the same time, he meets and courts an intriguing woman, Sylvie Bowen, who escaped the cotton mills of England seeking a better life. Though she’s drawn to Erryn’s charm and cleverness, she once met with disaster at the hands of the South, and he knows it is only a matter of time until she discovers his ties to the Rebels and turns against him. Drawing on actual events, The Halifax Connection captures a fascinating and largely forgotten piece of Canada’s history. From the comfortable parlours and ballrooms of the bustling metropolis of Montreal to the back alleyways of the port town of Halifax, to the deadly high seas patrolled by Southern raiders, the novel draws a remarkable picture of Canada in the mid-1800s – its people, its power struggles, its hopes and its dreams.